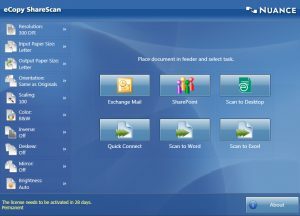 eCopy ShareScan accelerates paper and electronic document capture workflows while catalyzing compliance through records management protocols and policies. The eCopy modular platform architecture gives you the freedom to build the right solution for your company. Select components a la carte or choose from an array of packaged solutions – all of which can be mixed and managed as one system. When documents are important enough to be shared or preserved, the process of capturing and collaborating with those documents should be done as quickly and securely as possible. Features help eliminate data loss and ensure records are captured, classified and archived correctly – and safely. 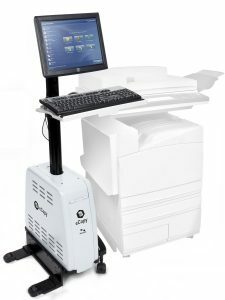 eCopy ScanStation is a secure kiosk for network scanning applications that demand high security, easy accessibility, accelerated index-data entry and enhanced connectivity to copiers, MFPs and scanners that don’t support embedded applications.